Hi everyone!! We are down to our last few days of school! 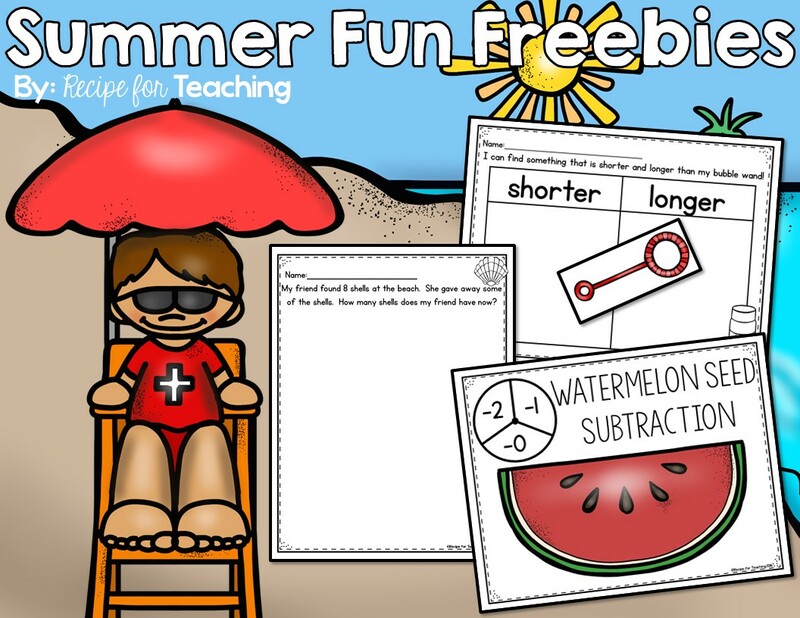 Our kiddos have worked so super hard this year and we wanted to do some fun "Summer Themed Activities." I just wanted to share some of our fun learning with you! *Warning: This is a lengthy post, but you might just get some FREEBIES if you make it to the end!! :) Bubble Fun We read this bubble book. 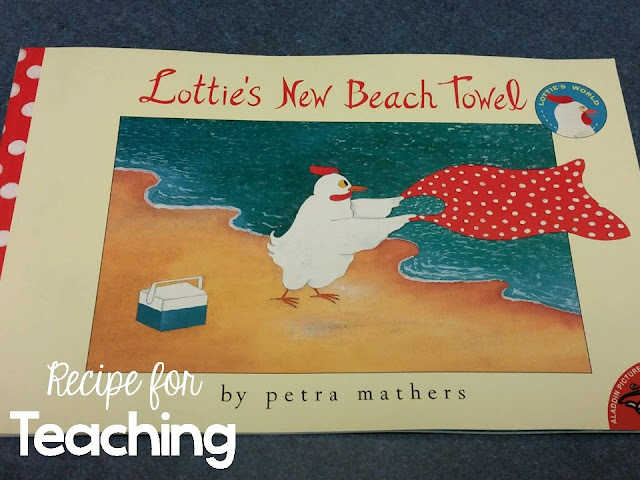 It is a great non-fiction book about bubbles and very kid friendly! Before we read the book we shared what we already knew about bubbles. After reading, we shared what we learned from the book and then I gave each student a sticky note to record their learning. I gave each of my students a paper bubble wand and they went around our room finding objects that were shorter and longer than their bubble wand! 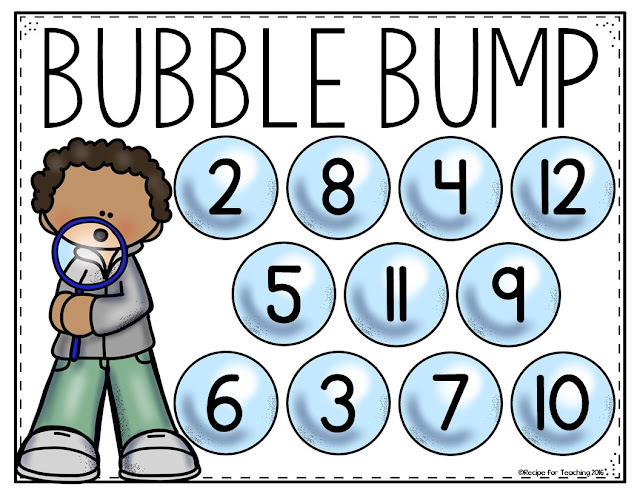 I know some of you have probably played BUMP before, but I made this "Bubble Bump" game! They loved it! You can grab this Bubble Bump game for FREE!! Just click either picture to go to download! We obviously had to end our day by blowing bubbles!! Ice Cream Fun We also had an ice cream themed day! We read these two ice cream books. I love pairing fiction and non-fiction books together! We wrote about our favorite kind of ice cream, where we like to get ice cream, and who we like to get ice cream with. One of my kids seriously said, "This is like narrative writing!" #proudteachermoment This friend did an amazing job with their writing!! One of my awesome teammates made the cutest counting by tens ice cream scoops activity! What a great little end of the year assessment this was! And ice cream sandwiches were a must for this day! I definitely had to have one myself! Watermelon Fun We read Watermelon Day - cute book if you have never read it! We tasted a few pieces of watermelon - yummy! Then we made a chart telling how the watermelon tasted. You can get that super adorable clipart from Educlips! We used paper plates to make watermelons. This is such an easy activity! All you do is cut a paper plate in half and let the kids color it to look like a watermelon. I let them use the Mr. Sketch smelly markers for this. This friend shared my opinion of the watermelon! But, not all of us were fans of the watermelon!! For math we used black unifix cubes for watermelon seeds to subtract. Beach Fun We also did a beach themed day, but we were obviously having so much fun that I forgot to take any pictures...I seriously didn't even take one picture!! #theendoftheyearisBUSY Luckily I had taken a picture of the book I used the week before because I knew I would want to share about all of our fun learning! This book is adorable! I had my students write about what they would do with a beach towel. We also did a seashell subtraction (say that 5 times fast!!) problem solving activity in math. 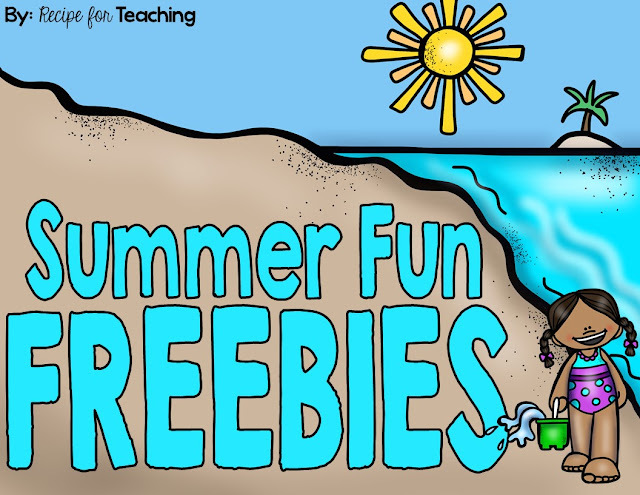 So if you have made it to the end of this post, I have a freebie for you with some of the activities we did!! I already shared the link to the Bubble Pop game above, but this freebie pack has the bubble measuring, watermelon seed subtraction, and seashell subtraction problem! Enjoy and happy summer! !